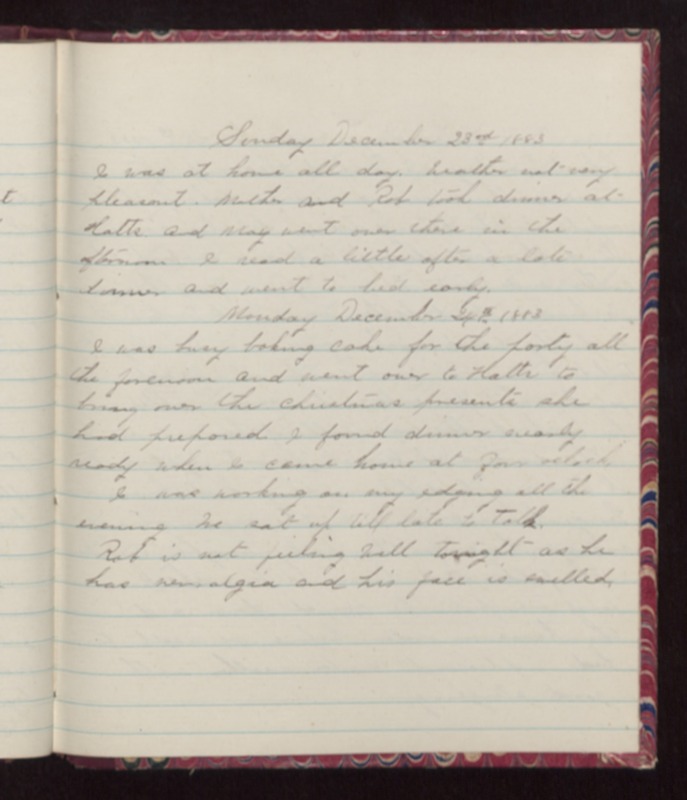 Sunday December 23rd 1883 I was at home all day. Weather not very pleasant. Mother and Rob took dinner at Hatts and May went over there in the afternoon. I read a little after a late dinner and went to bed early. Monday December 24th 1883 I was busy baking cake for the party all the forenoon and went over to Hatts to bring over the Christmas presents she had prepared. I found dinner nearly ready when I came home at four oclock. I was working on my edging all the morning We sat up till late to talk. Rob is not feeling well tonight as he has neuralgia and his face is swelled.